Beyoncé Wears More Custom Balmain for Coachella aka Beychella Weekend 2 + Appearances by Solange, Kelly Rowland, Michelle Williams, and More! On The Scene: Glamour Women of the Year Awards 2017 with Lala Anthony in Moschino, Solange in Jean Paul Gaultier, Tracee Ellis Ross in Prabal Gurung, and More! 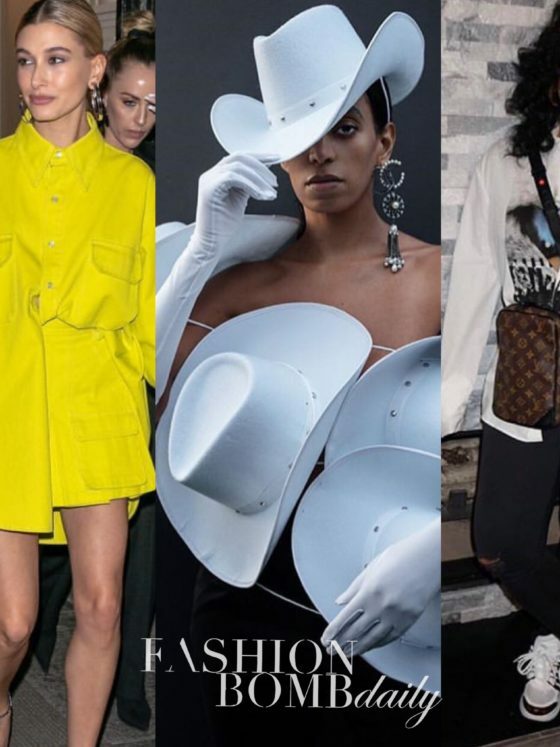 On the Scene: The Dior Cruise 2018 Show with Rihanna, Kelly Rowland, Jhene Aiko, and More! On the Scene: The 2017 Met Gala with Janelle Monae in Ralph and Russo, Thandie Newton in Monse, Chrissy Teigen and Rita Ora in Marchesa, and More! Look of the Week featuring Kelly Rowland in Yousef Akbar, Rihanna in Armani Privé, Solange in Iris van Herpen and More!